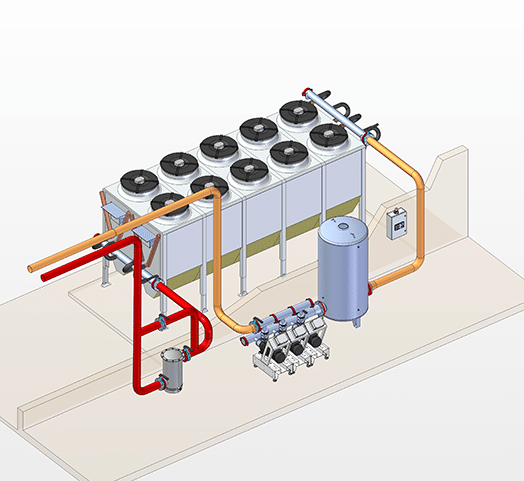 Ecodry System solutions will put you in position to achieve maximum operating conditions. 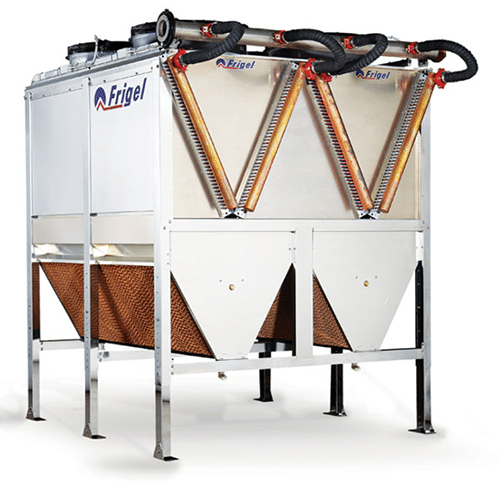 Besides installation, energy, water, chemical and maintenance savings, Frigel’s machine-side temperature control concept assures optimum processing efficiencies, reduced scrap and consistent quality. 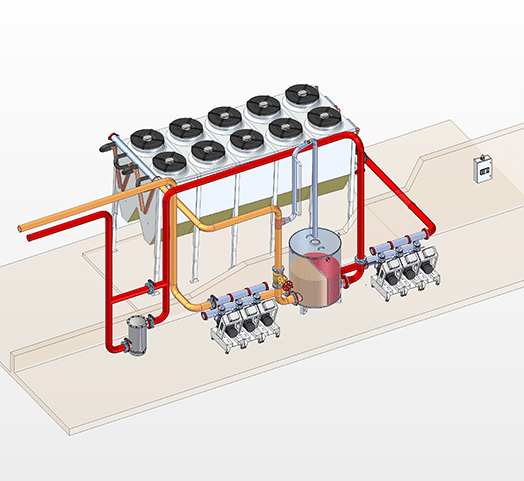 Ecodry systems are selected and designed for glycol (or water in non-freezing climates), as well as self-draining versions for installation in cold climates without glycol. Simply add Ecodry modules, pump sets and Microgel/Turbogel units as you grow. Call us today to find out more! Low installation cost – one set of non-insulated mains and drops. Tight temperature control with motorized modulating control valve per zone. 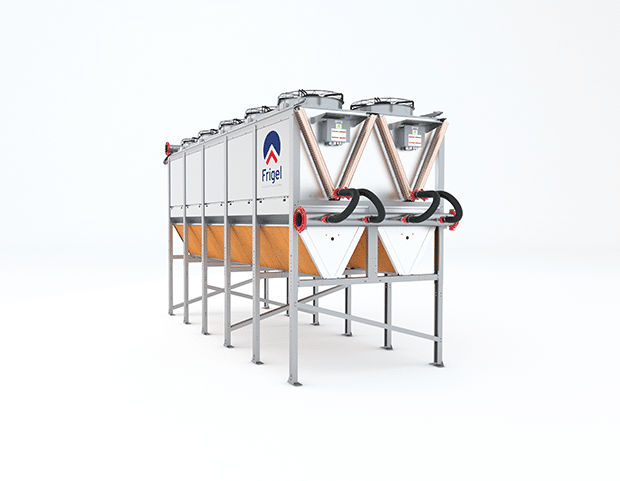 Local high flow and pressure for optimum processing – no central chiller pressure losses. Automatic free-cooling per machine when conditions permit. Moulds and heat exchangers remain clean for maximum process performance. Record the temperature and flow rate for each process.